'Montroig 2', coming from an edition of only 20 lithographs, is a rare work on paper dated 1974. 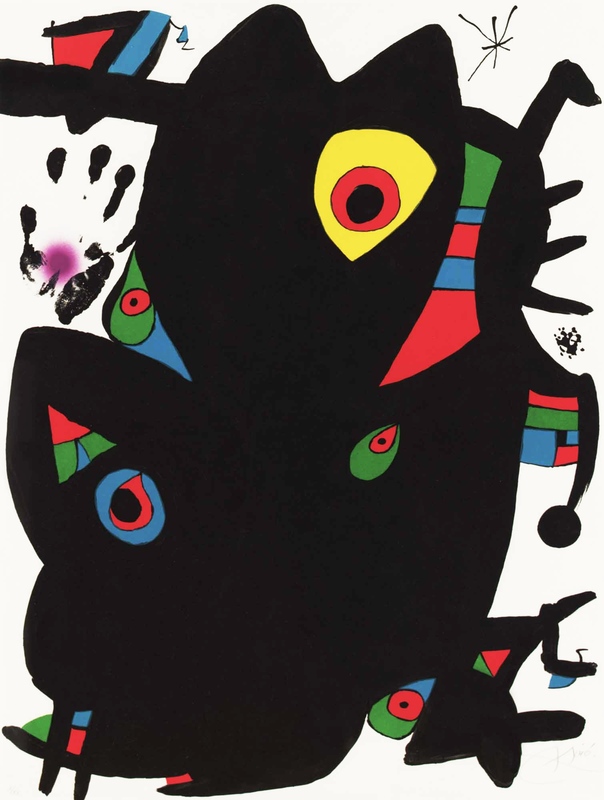 The work takes its name from the town of Mont-roig del Camp, in Catalonia, where Miro's father owned a farmhouse. Black features prominently and allows complementary colours such as red and green to complement each other while capturing the eye of the viewer.